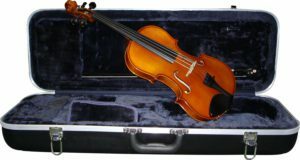 The Samuel Eastman 80 viola offers unparalleled quality of sound and playability in an entry to mid level student instrument. Outstanding features include beautiful, select tonewoods, genuine hand-inlaid purfling, spruce top, maple back, maple ribs, maple scroll, ebony pegs, ebony fingerboard, ebony chinrest, D'Addario Prelude strings, and a light to mid-brown varnish that is durable as well as attractive. 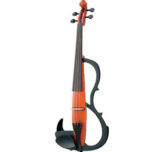 These fully carved instruments provide quality of sound and craftsmanship to students. The Eastman 80 outfit includes an oblong thermoplastic case and horsehair fiberglass bow. Available in sizes 16.5" thru 11".